Generally there are three types of tai chi book: The classic ("reflections on historical manuscripts"), The theory ("the power of chi") and The instructional ("A step by step guide to the yang style sword form"). A Tai Chi Imagery Workbook: Spirit, Intent, and Motion by Martin Mellish, is none of these, and so is to my mind one of the most exciting tai chi books I have read in a long time. Each of the three traditional categories are at some level unsatisfying to the typical Western reader. Martin Mellish clearly understands this and his novel approach to the subject means that his book is one that truly is accessible to Western readers, rather than the mere lip service to accessibility that "theory books" pay. Theory books are generally based on the premise that Westerners simply do not understand the concepts of chi, meridians and energy and set out on a bold quest to educate and enlighten us. In this workbook however, the premise is entirely different. In tai chi "intention" is fundamental, as the way the mind communicates with the body is through visualisation. Traditional tai chi theory is designed to tap into this to help the practitioner use their imagination and the metaphors to guide their actions. That is why the classics are filled with exotic poetry and the names of postures are analogues for everyday actions - at least everyday in China 400 years ago. In order to use the traditional visualisations for practical tai chi benefit, the Westerner needs to understand the historical culture of China 400 years ago. In order to do tai chi you need to visualise, and in order to get the visualisations you need to understand Chinese culture - a big barrier for most westerners. Martin Mellish's book throws off these doctrinal shackles by realising that it is the visualisations that are important not the Chinese cultural understanding (although he modestly and respectfully declines to point this out). The visualisations were originally created from everyday actions so Martin skilfully recasts them using modern everyday Western culture. Many of these visualisations will already be familiar to tai chi practitioners and teachers, as this "problem" has already been consciously and subconsciously recognised, hence allowing many of these modern metaphors to creep into our classes, particularly where beginners are involved. The power of Martin's book is that he authoritatively collects a wealth of disparate imagery together as the perfect resource for tai chi practitioners and teachers alike. This book will make you think and I guarantee it will spark at least one mini eureka in everyone who reads it. I should also mention that this book also has an excellent, although slightly incongruous, appendix on tai chi research. As evaluating medical research is Mellish's day job, he takes the opportunity to share this expertise on the subject of tai chi. I found this this an extremely useful and concise explanation of the benefits of tai chi and the degree to which each of these is supported by proper scientific analysis. A refreshingly authoritative review in the sea of propaganda. 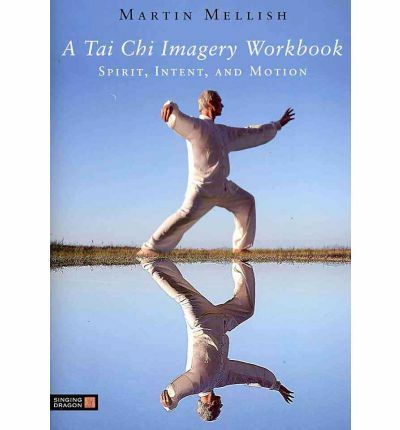 A Tai Chi Imagery Workbook: Spirit, Intent, and Motion is a must have, not necessarily to read cover to cover, but to regularly return to for inspiration as a trusted reference source.